HITHERTO the rebellion had found no sympathizers among the Leinster gentry. From its outbreak the Lords of the Pale, Catholics and Protestants alike, had avowed their devotion to the King and offered their services to help in suppressing the rebels. Lord Dillon of Costelogh, a Protestant, united with the Catholics Lord Gormanston and Sir Robert Talbot in the petition presented to the King at Westminster in the spring of 1641. The traditions of the gentry of the Pale had allied them with England and the English Crown, and they had no sympathy with rebellion; on the contrary, they offered their lives and fortunes for the suppression of the revolt. In a series of remarkable petitions during the progress of the rebellion they declared their unalterable attachment to the sovereign, their expressions increasing in warmth as the misfortunes of the King became more serious and perplexing. They give a call to "all the inhabitants of Ireland and to each of them" to be "most faithful to our Sovereign Lord and King, and to his heirs and lawful successors," and to "maintain to the uttermost of their power his royal prerogatives" against his enemies, and also to support the laws of England, so far as they do not extinguish the Catholic religion or the liberty of the subject. At the meeting of the Confederate gentry at Trim on March 17, 1642, after taking their decision to resist, they protest that they had been necessitated to take up arms only to "prevent the extirpation of their nation and religion . . . and to maintain the rights and prerogatives of his Majesty's crown and dignity and the interests of his royal issue, and for no other reason whalever." They style themselves "Your Majesty's most dutiful and loyal subjects." Similar expressions of devotion came from the gentry of all parts of the kingdom. Their own demands were for the freedom of Parliament, liberty of religion, and the right to educate their sons at home instead of sending them abroad for education, with the opening of paths of employment and trust in Church and State to their families. They complained of the "immortal hatred of some of the ministers of state, and especially of Sir William Parsons, to any welfare or happiness of this nation, and of the ambition of these men to make themselves still richer and greater by the total ruin and extirpation of this people"; and of Parsons' "underhand working" in procuring false inquisitions upon feigned titles of their estates after many hundred years possession, "one hundred and fifty letters patent being avoided by him in one morning, under the King's great seal, being the public faith of the kingdom." The whole land, they complained, was filled with swarms of escheators and pursuivants, carrying on illegal practices under the protection of the Lords Justices and the oppressive Court of Wards. We feel that it required all the sinister practices of such men as Parsons to drive these gentlemen, most of them English by descent and all of them enthusiastically loyal to the sovereign, into the arms of the rebels of the North; yet even this feat the double-dealing of the Irish Government accomplished. But the union was an uneasy one. Southern Ireland was, in fact, throughout the years of the rising, a Catholic Royalist stronghold, upheld by the belief that they were warring for the King against the Puritan Parliament and that his cause was identical with their own. For the King's support they poured out subsidy after subsidy, and to his help they sent the Irish troops that turned the defeats of Montrose in Scotland into victories; they proffered the army for England which roused such violent anger against Charles I that it was made a main accusation against him at his trial. In their loyalty they had the sympathy of the more considerable Catholic corporations throughout the country. None of the towns stirred until the residents found themselves in the midst of an armed population, while they, through the mistrust or malice of Parsons, were forced to go about unarmed. Worse things were happening. Sir Charles Coote, commonly known as "the Raven," had been let loose upon Leinster, where no rising was contemplated or massacre had been committed. His orders were "to kill and destroy all rebels, and waste, consume, and demolish all places where they had been harboured, with all who were capable of bearing arms." Soon afterward they heard that Colonel Reade and other gentlemen of position and honour who had been chosen as their envoys to the King had been seized by the Lords Justices and put upon the rack, in the hope of forcing them to inculpate the King in the rising. It was such acts as these which caused the gentry of the south to unite with the malcontents in the north. Another urgent cause thrust this union upon them. In London, Parliament was busily engaged in forcing through all its stages the nefarious Adventurers Bill as a means of raising a loan to pay the English garrison in Ireland. By this Bill, passed through in a week, lands in Ireland to the extent of 10,000,000 acres, "to be confiscated" in consequence of the rebellion, were offered for sale, of which 2,500,000 acres were to be allotted to subscribers to the loan. On March 19, 1642, only five months after the outbreak of the rebellion, the Act was signed by the King, who, though he had recently declared himself ready to "pawn his head" for Ireland, passed every proposition without taking time to examine its results. Money for the lands "to be forfeited" poured in, though little of it was used for the purpose for which it was subscribed. The confiscations under Cromwell were largely founded on the Adventurers Act. Henceforth rebellion was encouraged on the one hand with a view to forfeitures and cruelly put down on the other; it took on a specially savage aspect. To the gentry the Adventurers Bill resolved the war into a struggle for existence, and to secure their estates they threw in their lot with the rebels, having with them but one aim in common--religious liberty. On December 15, the Lords Gormanston, Fingall, Slane, and Dunsany met Rory O'More, Philip O'Reilly, and Colonel MacMahon at the Hill of Crofty, and, O'More having sworn that he had no personal motive in the rebellion but had taken up arms for the King and for religion, they consented to join hands, and their union was confirmed at Tara some weeks later. This act made the Anglo-Irish lords rebels in the eyes of the Dublin Government, and they refused any further dealings with them. Lord Dunsany and others were flung into prison, and measures taken to indict them of high treason. The outbreak of the rebellion brought Ormonde into power. On November 10, 1641, the King appointed him Commander-in-Chief, and from that time forward till his death in the year of the Revolution (1688) he took an active part in the changing fortunes of his country, endeavouring to pursue amid the violences of faction an even path of moderation. Ormonde's loyalty was the basis of his character. "Yonder comes Ormonde," once said Charles II. "I have done all in my power to disoblige that man, and to make him as discontented as others; but he will be loyal in spite of my teeth, and I must even take him in again." James, twelfth Earl and first Duke of Ormonde, was not a strong man, and some of his acts, especially his delivery of Dublin to the Parliament and his retirement from the country at a critical moment, are open to question; but of his conscientious efforts to do the best he could for the country there seems no doubt. The difficulties of his position were immense. As a royal ward he had been brought up a Protestant, though heir to a great Catholic house, and he had to supply, by his natural abilities, a complete lack of education. His father, Lord Thurles, had been drowned at sea, and his grandfather, "Walter of the beads and rosary," had spent much of his life in the Fleet Prison, with a debt of £100,000 round his neck, only saved from starvation by the affection of a retainer. Though there were English policies to which, as Catholics, the house of Butler could give no adherence, the allegiance of the Earls had remained untainted through all the troubled days of Elizabeth and James I. 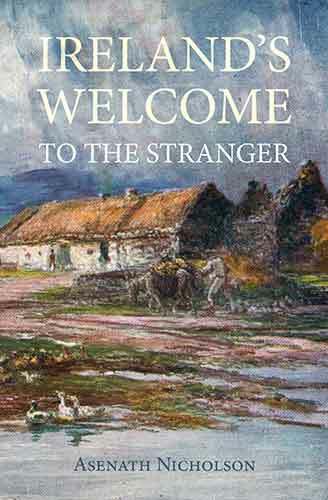 When, as Lord Thurles, James returned to Ireland determined "to lie well in the chronicle of his house," it was with 'some such ideals in his mind'; and in the difficult days before him he seldom belied either the humanity or the loyalty of his ancestors. From the outset his way was beset with perils. Though holding a high commission from the King, he was hampered at every step by the jealousy of Parsons, whose barbarous orders he refused to obey; and he was embarrassed by the defection of his brother, Richard Butler of Kilcash, who joined Muskerry, their brother-in-law, and became, with Lord Mountgarret, one of the three chief leaders of the Munster rebels. Ormonde's capacity as a commander was shown as soon as he took the field. Tredath (Drogheda) having been relieved, largely through the efforts of the garrison and of Lord Moore of Mellifont, he cleared the country south of Dublin and defeated the rebel forces at the battle of Kilrush, about twenty miles from Dublin. But matters were approaching a crisis. In July 1642 the news arrived that the brave Owen Roe O'Neill had landed in Donegal, and he was soon afterward followed by Colonel Preston, uncle to Lord Gormanston, who brought with him five hundred officers and men to the coast of Wexford. On October 24 of the same year the Confederate Catholics met at Kilkenny, formed themselves into a General Assembly by an Oath of Association, in which each of them swore "that all and every person or persons within this kingdom shall bear faith and true allegiance unto our Sovereign Lord, King Charles, . . . and to his heirs and lawful successors; and that I shall during my life defend, uphold, maintain, all his and their just prerogatives, estates, and rights, etc." They swore to uphold the Parliament and the fundamental laws of Ireland, and the free exercise of the Roman Catholic faith and religion, and to obey the Supreme Council which they proceeded to elect, consisting of twenty-four members, six from each province. This important meeting included eleven bishops, fourteen lay lords, and two hundred and twenty-six commoners. They proceeded to settle the government of the country, appoint sheriffs, coin money, and regulate trade. The Supreme Council had absolute control over military and civil officials, and the direction of negotiations with foreign states, and heard and decided all capital and civil causes except titles to land. They showed their loyalty in the design of the seal of the Confederation. It bore the cross in the centre and the crown and harp beneath its arms, a dove above and a flaming heart below, with the legend Pro Deo pro Rege et Patria Hibernia unanimis. The Oath of Association was signed by the Catholic gentry of the country, Irish and old English alike. It contains, along with the signature of the Earl of Castlehaven and Lord Gormanston, those of "Phelemy" O'Neill, O'Rorke, O'Sullivan More, Mac Carthy, O'Shaughnessy, O'Callaghan, etc., none of whom seem to have had any hesitation in swearing allegiance to the King. Indeed, though accused by the Dublin officials of being 'rebels,' they felt they were supporting Charles and his royal house against his puritan enemies as much as did any English royalist cavalier. Their next step was to appoint Owen Roe O'Neill general in Ulster, and Preston general of the forces at their disposal in Leinster. But here trouble began. Sir Phelim was furiously jealous of the interference of his cousin, who took him to task for his incompetence and cruelty, and whose fame he could not but recognize to be far above his own. Nor were the relations more friendly between Owen Roe and Preston, who were quite unable to work in concert and had many old causes of friction in their remembrance. To understand the position we must look back to their past history. Both Preston and O'Neill had served with distinction in the Spanish wars of the Low Countries. They had entered the Irish regiment of Colonel Henry O'Neill, Tyrone's second son, and had risen to be captains shortly before the visit of Tyrone and Tyrconnel to Brussels in 1608. They probably were among those who welcomed the Earls on their entry to the capital in the suite of the Archduke Albert. But they belonged to different parties at home, and even abroad Preston found it impossible to forget that he was a Palesman on both sides, of old English descent and nobility, who except in the matter of religion had no common ground with the native Irish of the north. He did not join the regiment of Owen Roe even when that born leader of men rose to fame in the Spanish service. He married a Flemish lady of rank and had gained both wealth and influence, but his jealousy was aroused when he found the Irish recruits which, with Strafford's approval, he had spent money and trouble in raising in Ireland deserting wholesale to the regiment of his rival. He kept himself apart, as "captain of a separate company," while O'Neill had serving under him, besides several of his own family, officers both of English and Irish extraction of the O'Mores, Kavanaghs, Lalors, Dillons, de la Hoydes, Daltons, Owens, Browns, FitzGeralds, and O'Donnells. There were said to be ten or twelve thousand Irish infantry and five hundred horse in the Spanish army, with more constantly coming over. Many of the uprooted young men of Ulster must have been among them, glad to exchange into regular service from the wild life on the mountains at home. Preston was not a successful commander, and in Ireland he is best known by two dismal defeats; the battle of New Ross, in March 1643, soon after his arrival in Ireland, and the battle of Dangan Hill in August 1647, In the former he was defeated by Ormonde solely on account of the bad disposition of his forces, having, as Castle-haven says, "put himself under as great disadvantage as his enemy could wish"; in the latter, fought near the close of the Confederate Wars, his huge army of eight thousand men was annihilated by Michael Jones, the leader of the Parliamentary forces. He earned for himself from his countrymen the title of "the Drum," because "he was only heard of when he was beaten." Yet he came over with a good record, the courage of his Irish company and his own pluck having largely contributed to the saving of Louvain when it was besieged by the combined armies of France and Holland in 1635.Immediately on his arrival in Wexford he was appointed general of the southern army by the Confederate Council.